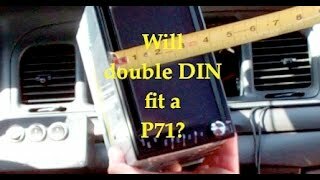 What's the difference between a p71 and p7b? 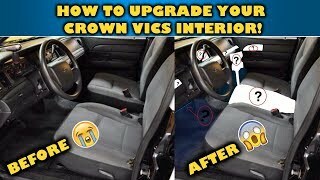 👍So basically no difference in the car? 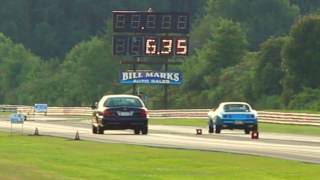 Don't the 2011s have the most horsepower? 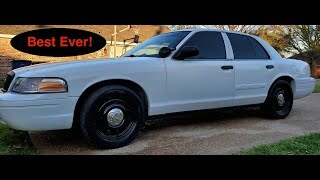 Awesome place for your bluetooth phone microphone, hidden, grill is perfect for that, grand marques, crown vic. 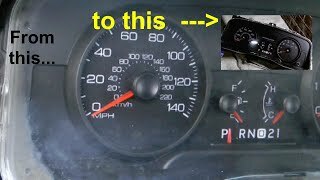 Like what comes with new Pioneer head unit!! Great tip!! 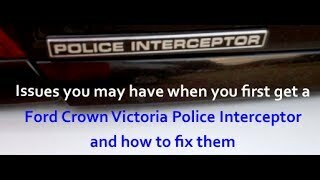 On my 2000 interceptor one of those hidden switches is shown and goes to rear window defrost. At 7:30, that's where my trunk popper is. A lockable push button. '03 P72. My head lights and dash keeps going in and out. I don’t even drive at night right now. 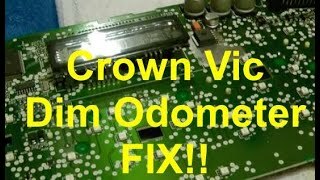 I replaced my relays under hood. The small ones and fixed a leak at the rear of intake due to coolant was causing misfires. If the relays don't help then I'd say check for coolant at rear coil pack on passenger side and check that heater house that goes into your intake. 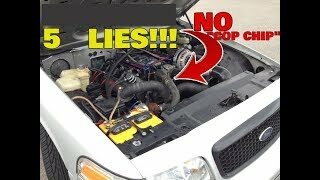 Be careful it's there are signs of coolant the heater hose inlet breaks down and becomes brittle. 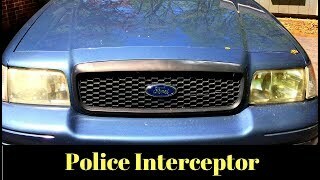 2003 cvpi P71 166789 miles. could be LCM (lighting control module). Several years have a recall on it. The traction control control and pedal adjustment switches are usually there when the car has the options. If they don't, there's most likely no hardware​ for it. So you can't just add the switches and have it work. I've tried in both of mine. It also doesn't make sense why they would add the features, but not give you a switch. Running with a bad tail piece yoke bushing will cause the trans to fail I discovered. The line pressure that applies the direct clutch enters the hollow output shaft where it passes through the case. There are 3 ring seals there and if the bushing in the tail housing the driveshaft yoke rides on is bad it will cause a harmonic in the output shaft to develop and wear the case out at those ring seals. Luckily there is a sleeve kit to repair the case and I was able to rebuild it with some extras added. 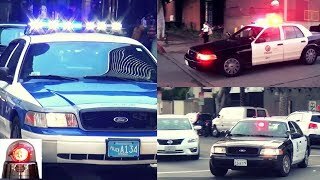 What year is your Vic? 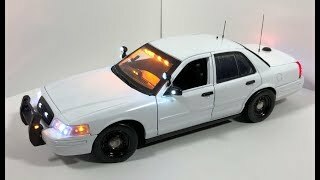 I have an 07 P71 with all the switches for pedal and traction, but no flasher. It's built into Light Module apparently, which goes crazy when I switched 100% of bulbs to LED's. BigOxxTech I had that same problem. When you put L.E.D lights in, you may experience "Can-bus" errors. So.. 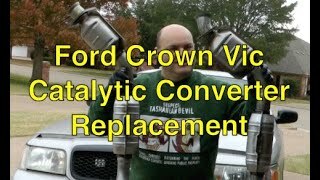 Put in only canbus error free led bulbs. Led's can also cause rapid flashing of the signal lights. The problem is that the flashers are designed to work on resistance generated by standard bulbs, whereas led's offer very little resistance . 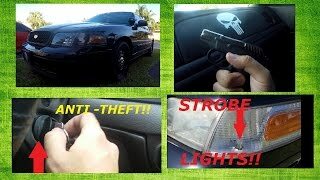 Every single bulb in my car is led, and I have had no problem with them for years now. Good luck and I hope this helps you. Yeah, my 07 is an oddball... Has different rear gears, all the extras, even has the speed steering, which is failing, lol. WJ Handy Dad yeah, can add the adjustable pedals, but have to swap out whole pedal assembly for one with motors, wiring is under dash as well. The traction controls is off the ABS module itself, not sure bout that. 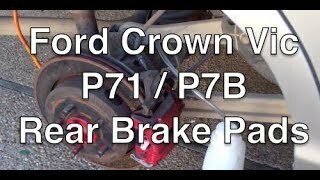 I have my traction control disabled. Hate how it kills power to engine when taking off on ice, just lock in 2nd and go, lol. best years are 2006 - 2010! That's the best way to do it. I got my Caprice that way. My Charger was downfitted so roughly it required a TON of work to get it acceptable. 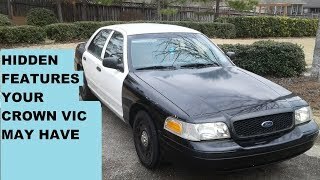 I have a P71 and it has the pedal adjustment switch. Also has traction control and cruise control! 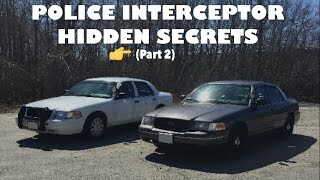 CVPI Hidden Secrets - PART II. 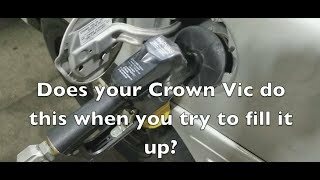 How to upgrade your CROWN VIC INTERIOR! 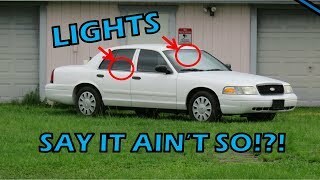 5 LIES You Were Told About The Ford Crown Victoria !! 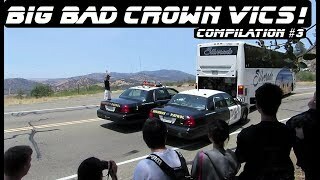 CROWN VICTORIA HIDDEN SECRETS PART 3!! 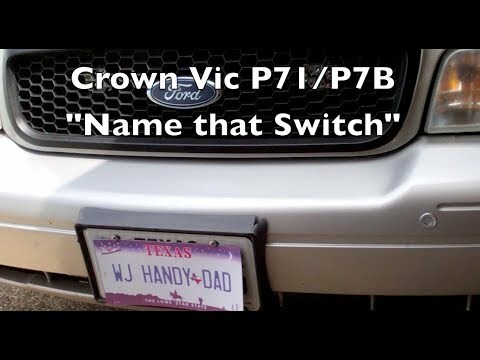 Can you fit a double DIN in a P71 Ford Crown Victoria?